Signup Today - It's Easy! 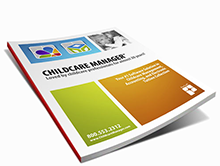 Simply complete the form and get full access to Childcare Manager. Yes! Please email me information for a later date. We respect your privacy and will never share your email address with any person or organization. Yes! I want to start my free trial now. Click Download Demo to start your free trial.